We introduced Villa Pestalozza on Lake Orta a couple of days ago. 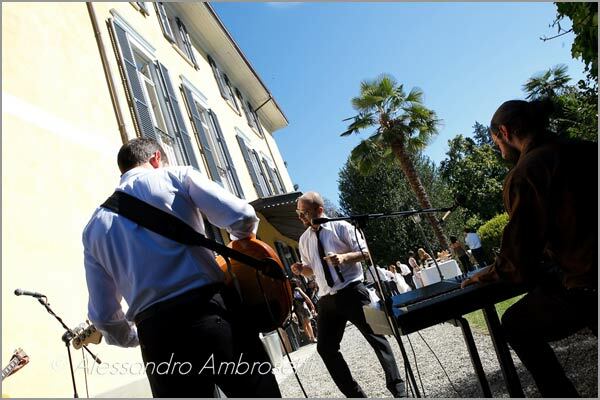 This is one of the best venues on Lake Orta for sure. It has a wide park and grand rooms with frescoes and paintings. 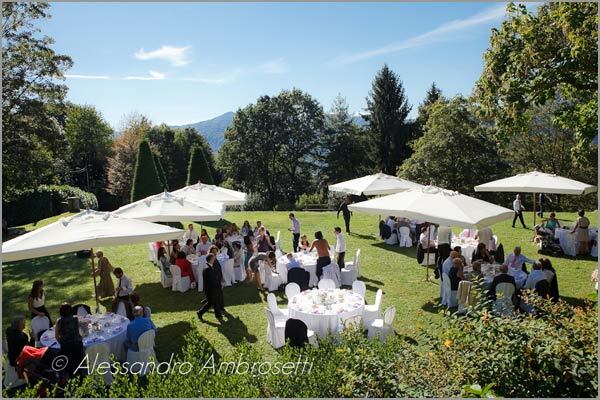 Villa – managed by owner Donna Giulia – has also a lovely and intimate atmosphere and a stunning view over the lake. 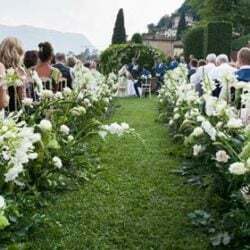 These are surely the main features of this venue located just above Orta in Miasino village. 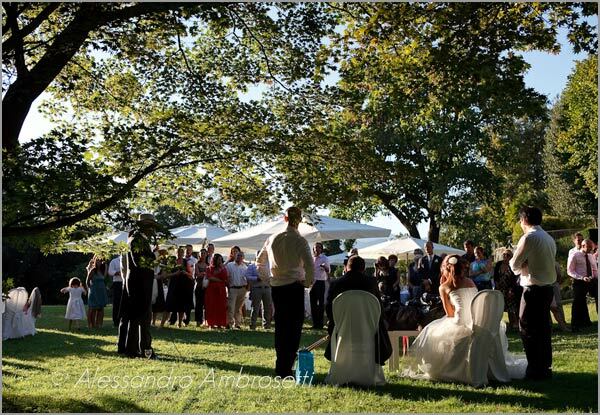 Micaela and Corrado a lovely Italian couple coming from Milan fell in love with Villa Pestalozza at first sight and they chose it for their wedding dated 11 September 2010. 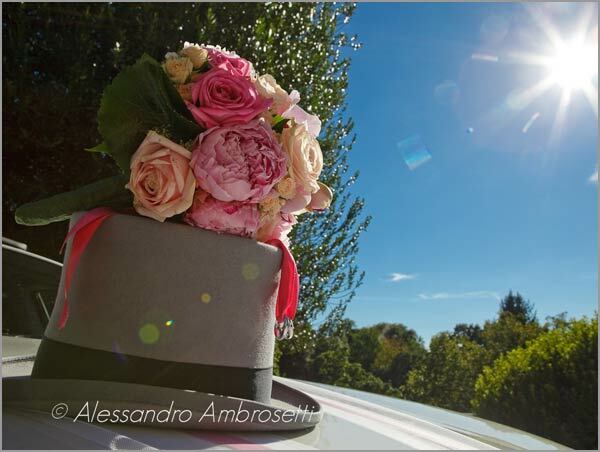 We wold like to tell you about that thanks to Alessandro Ambrosetti’s pictures, official photographer for Micaela and Corrado’s wedding. 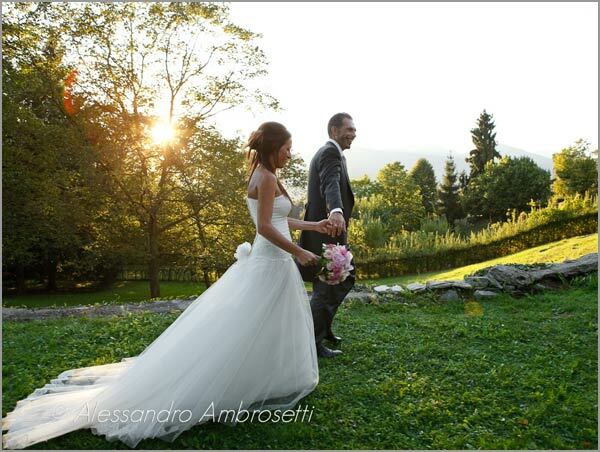 Our readers will remember that we introduced Alessandro Ambrosetti in occasion of Sandra and Mirko’s wedding to Castello di Miasino. 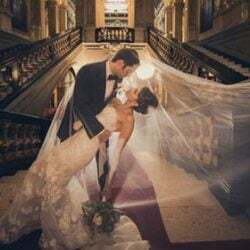 One of those pictures was appointed for Italian Lakes Wedding shot of the year 2009. 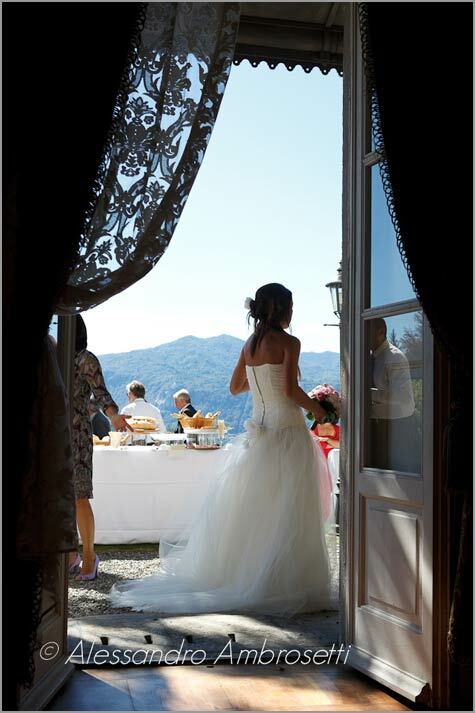 We take the occasion to announce that Italian Lakes Wedding Shot of the Year edition 2010 will be on line soon. 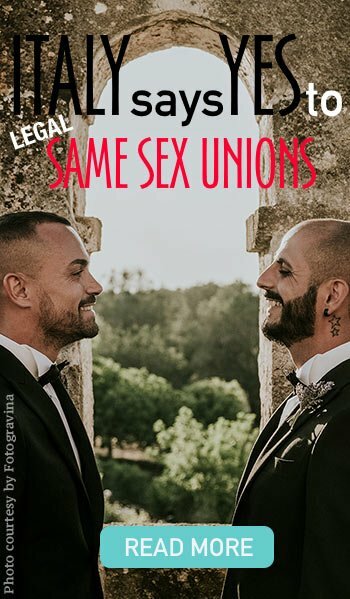 You will choose among 34 wonderful pictures of 17 very good photographers! Just do not miss it!! 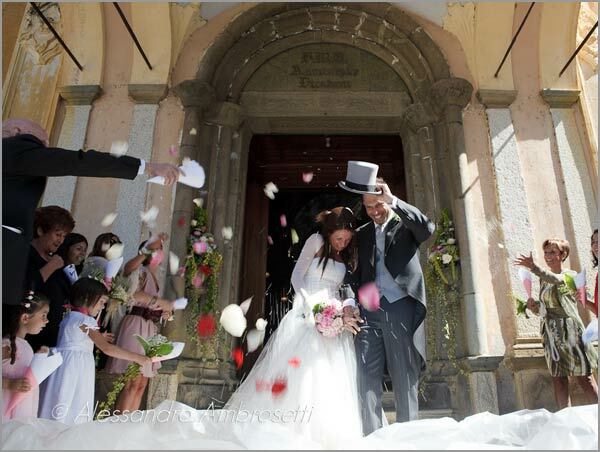 Back to Micaela and Corrado’s wedding have a look to this candid image of bride and groom coming out of the church! 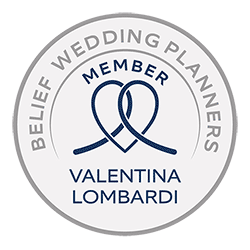 For their religious ceremony bride and groom chose wonderful Maria Assunta church, a gem in the little medieval village of Orta San Giulio. 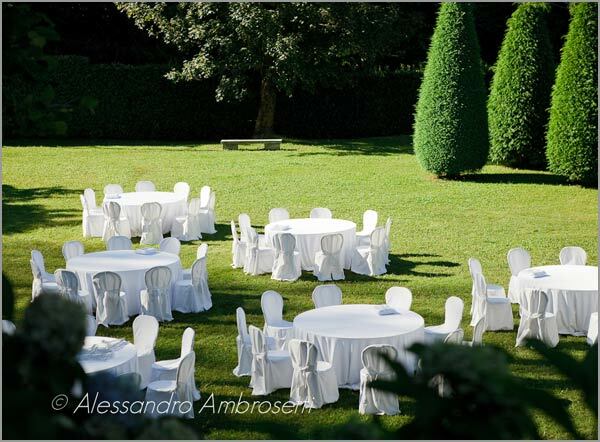 Side of the wonderful rooms inside, Villa Pestalozza has an amazing park overlooking Lake Orta which is just perfect for an outdoor reception. This is wat Micaela and Corrado did for their party. 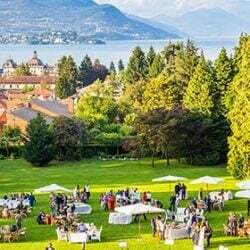 Catering company arranged all tables and aperitif just in the garden for a magic dinner overlooking the lake. 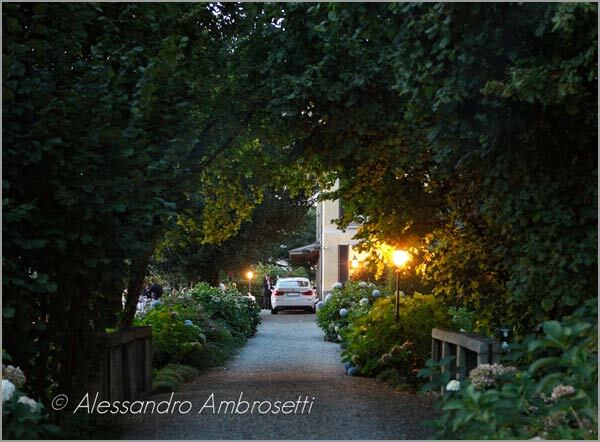 Alessandro Ambrosetti’s photos speak from themselves. 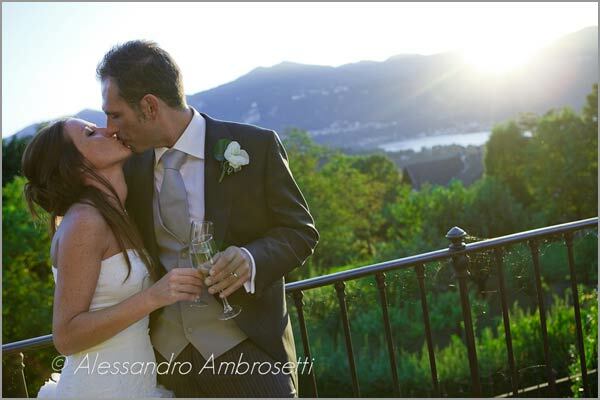 Micaela and Corrado’s wedding was simply unforgettable! 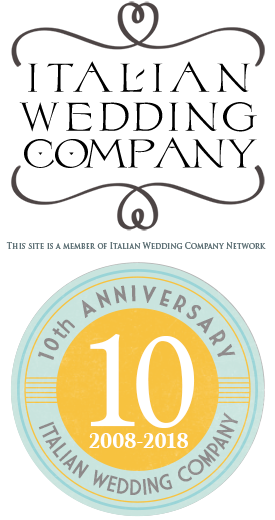 We are sure you will hear us speaking about this wonderful venue on Lake Orta again and very soon!